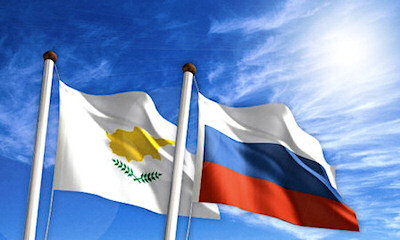 The pending Protocol to the Double Taxation Treaty between Cyprus and Russia has been ratified and Cyprus is official confirmed to be removed from the Russia�s �black list�. It has been signed by the Russian Duma in February 2012 and by the Russian President Dmitry Medvedev on 2nd March 2012. It is expected to come into force on 1st January 2013. The protocol harmonizes the DTT between the two countries with the OECD agreement and essentially raises the general legal and practical restrictions in relation to the exchange of information as well as retaining the benefittable withholding tax rates between the two countries. The removal from the �black list� means that the Russian participation exemption shall be extended to Russian shareholders that have a right to dividends from Cyprus companies. The benefittable withholding tax rates that are already provided by the 1998 DTT shall remain the same with the only change to apply a reduced 5% withholding tax rate in case of a direct investment of at least Euro100.000 (unlike USD100.000) instead of 10%. No tax applies in royalties and interest. A new provision is introduced where it states that the taxation of capital gains on the sale of shares in companies that their value depends more than 50% on immovable property situated in one of the two countries shall now be taxed in the country that the property is located. A revised provision in Exchange of Information is introduced in the Protocol for tax purposes and matters and promoting transparency in accordance with article 26 of the OECD Model Treaty. There are currently provisions in relation to the exchange of information in the DTT but the new revised article provides clarifications in relation to the obligations and powers that already exist. Several conditions must however met in order for one tax authority to comply with a request for an exchange of information in relation to tax that derive both from DTT and the national legislation (the new Exchange of Information provisions under Cyprus law is considered). Accordingly, requests for �fishing� are not allowed and the enquiries must be very specific in order to comply with the provisions.